With all the free mirror plans available, you may decide that building mirrors is your new hobby. 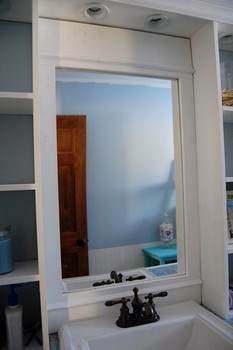 Kitschy mirrors that are built from old windows don't require any woodworking skills. Planter box or shelf mirrors add a decorator touch and are simple projects that are fun and can involve the whole family. 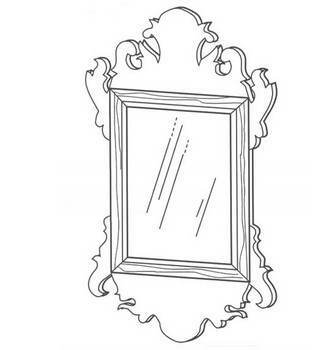 A cheval mirror is a design that shows off your skills and will become an instant heirloom to be cherished for years. Choose beautiful hardwoods finished with urethane, or select clear pine that is painted with bright and cheerful enamel. 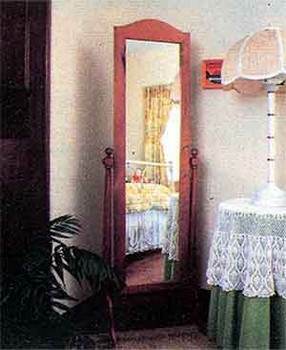 Your mirror will add a custom decorating accent to your home and is a quick and simple way to bring a light, spacious feeling to your room. Simple tools and techniques are all that is needed for most of the projects, and free mirror plans include building lists and techniques to help you get started. 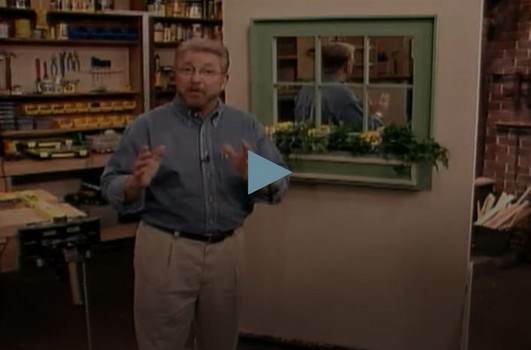 This project is for an attractive wall mirror that is inexpensive to make and can be completed in a day's time. 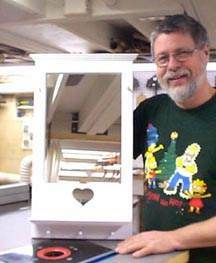 This charming mirror has a shelf and a heart cutout, plus hanging pegs. Great for a little girl's room. This unique mirror is build from a sliding door and birch plywood. 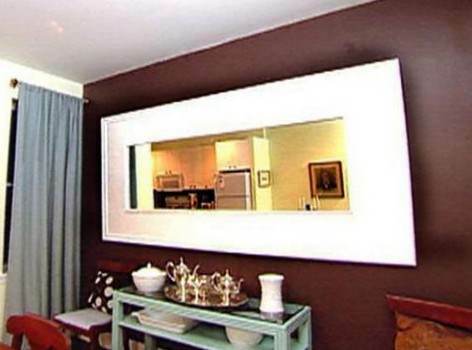 Use this simple mirror plan to build your own large wall mirror. 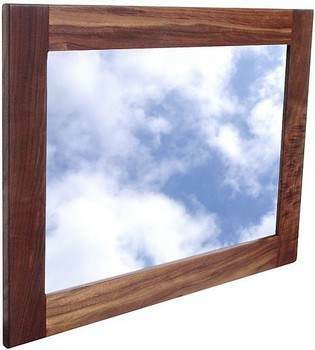 You can make any room feel larger by building this planter box mirror that looks like a window with a flower box. Great for rooms with no windows. 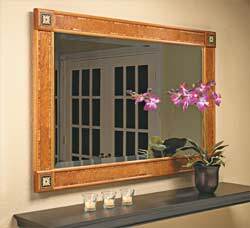 Give your living room or dining room a face lift with this mission style mirror you build using this plan. Here is a project for a truly beautiful framed mirror, built using mahogany and ribbon stripe plywood. This is a plan with simple instructions and diagrams for building a good looking vanity mirror for the bathroom. Build this lovely Cheval mirror that stands 5 feet tall and is made to easily adjust up or down. 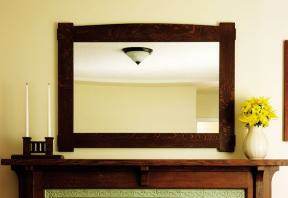 You can make a plain mirror come alive with interest and style by building a wooden frame for it. It's simple to create this frame with medallions on each corner.